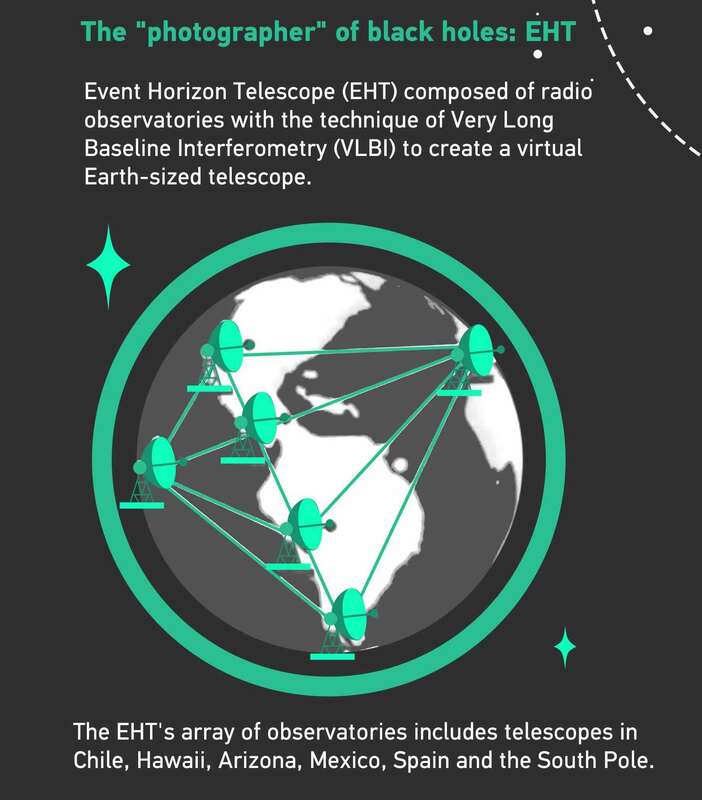 The "photographer" of the first black hole image is Event Horizon Telescope (EHT), a planet-scale array of eight ground-based radio telescopes forged through international collaboration, which was designed to capture images of a black hole. The technique behind the "photographer" is called very-long-baseline interferometry (VLBI) which synchronizes telescope facilities around the world and exploits the rotation of our planet to form one huge, Earth-size telescope observing at a wavelength of 1.3mm. 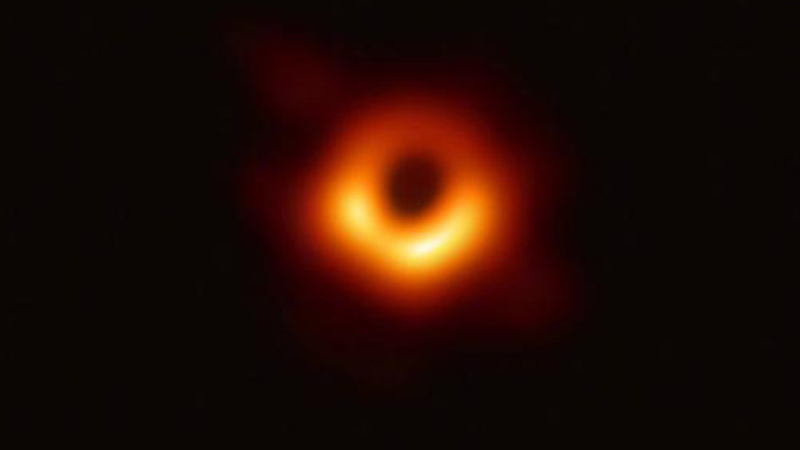 "We have taken the first picture of a black hole," said EHT project director Sheperd S. Doeleman of the Harvard & Smithsonian Center for Astrophysics. "This is an extraordinary scientific feat accomplished by a team of more than 200 researchers." "If immersed in a bright region, like a disc of glowing gas, we expect a black hole to create a dark region similar to a shadow – something predicted by Einstein's general relativity that we've never seen before," explained chair of the EHT Science Council Heino Falcke of Radboud University, the Netherlands. Multiple calibration and imaging methods have revealed a ring-like structure with a dark central region – the black hole's shadow – that persisted over multiple independent EHT observations. "Once we were sure we had imaged the shadow, we could compare our observations to extensive computer models that include the physics of warped space, superheated matter and strong magnetic fields. 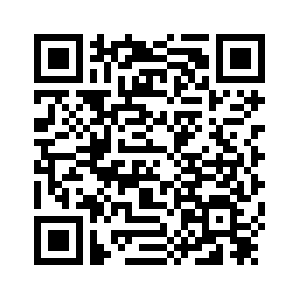 Many of the features of the observed image match our theoretical understanding surprisingly well," said Paul T.P. Ho, EHT Board member. "This makes us confident about the interpretation of our observations, including our estimation of the black hole's mass," he added. 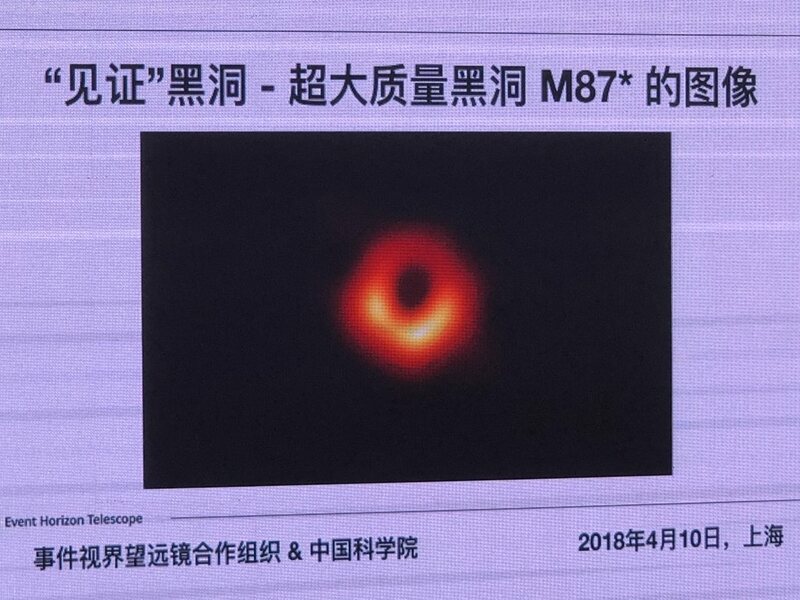 "The successful imaging of the black hole in the center of M87 is just the beginning of the EHT collaboration," commented Director Shen Zhiqiang of the Shanghai Astronomical Observatory. 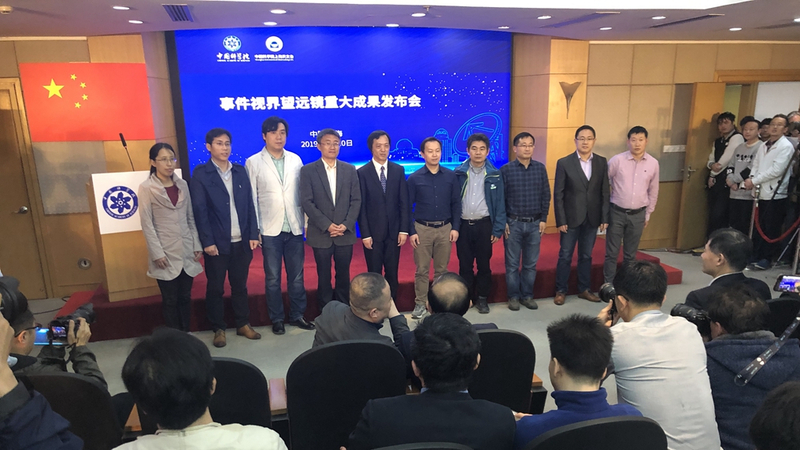 "More exciting results are expected from the EHT project in the near future." Click here to watch CGTN's broadcast of the unveiling event in Shanghai.